Smart bicycles not only use renewable electricity to climb hills, but they also have cameras to ensure security. They can be folded to facilitate carrying and allow cyclists to find directions using smartphones. Apart from aiding a healthy lifestyle and being a popular means of transportation, smart bicycles can even solve chronic traffic problems. Traffic problems have not been solved by organizing infrastructure solely for the sake of automobiles. In order to provide a suitable environment for people in modern cities, bicycles should be more integrated into city life. "Smart bicycles" might help to achieve this intention. However, Turkey is not familiar with cycling culture, even though it would be much safer if it were thoroughly recognized in society. Right now, aside from some parts of the Anatolian side of Istanbul, there is no real bicycle culture. The good news, though, is that the abilities of bicycles are improving. Now, it is possible to travel safely even at night by using smart technology that, for instance, leaves a laser tracer on the roads. The weight of smart bicycles is reduced by using carbon fiber materials that are also used in manufacturing planes and automobiles. But, these bicycles are not affordable by the ordinary people. Foldable bicycles, which give freedom of travel, can fit comfortably in public transportation or even in the trunk of a taxi when you are tired or out of breath climbing a hill. Helmets and the handlebars of the bicycles are custom designed for professional cyclists. 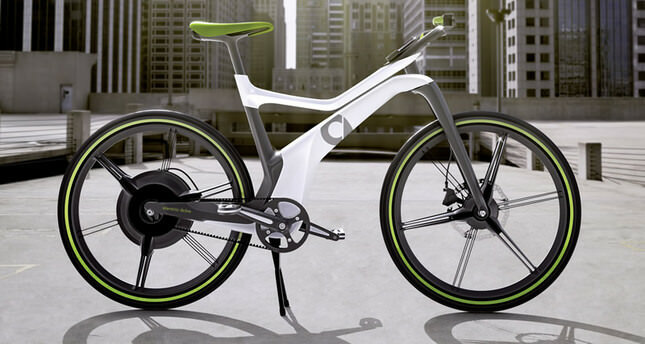 However, these smart bicycles are not suitable for customization yet, with the exception of gears, handlebars and seat. The number of local manufacturers and their production volume are not enough either. English manufacturer Brompton claims that their folding bicycles are the Rolls Royce of bikes. The bicycle, which can be folded in three moves and fits into a bag, offers its rider comfort while being transported. The height of its seat, gear and handlebars are all customized. Keeping up with advancing technology, these bicycles also stand out with their bags and elegant accessories. With the spread of bicycle-loving municipalities, restaurants and shopping centers, bicycle culture is becoming more widespread. Social networks are the new thing among those passionate about cycling. There are growing numbers of nongovernmental organizations emphasizing a lifestyle with bicycles on social networks such as Facebook and Twitter. "Bisikletliler Derneği" (The Foundation for Cyclists) on Facebook is one of the most active organizations. Gathering bicycle devotees together on different events, the foundation has over 40,000 followers. The foundation that makes an effort for the spread of bicycle culture brings its followers together for various events. There are hundreds of applications for cyclists as well. Android, iOS and Windows based applications focus on instantly measuring performance, map and navigation services. Applications such as MapMyRide, BikeMap.net and BikeBrain become indispensable for riders. Most of the applications are in English too. Applications such as "Bisikletçi Abi" (Cyclist Brother) inform riders on bicycle spare parts. Today, bicycles use technologies that have been developed to ensure the safe travel of the rider with smart bicycle projects. Smart bicycles, developed by the Italian Maestro Academy and Samsung, focus on the rider's safety. The project stands out with its design as well as the red laser marks on the left and right sides of the bicycle. The camera under the seat is designed solely for the safety of the rider. Moreover, the smart bicycle has a gap in the middle of the handlebar to place a cellphone. Features such as laser lights and navigation are activated when the smartphone is placed in-between the handlebars. The camera under the seat enables the rider to watch automobiles in the back via the cellphone screen. The automobile drivers harass cyclists while they park or pass by. The safe following distance is never maintained either. Unfortunately, roads that are separated for bicycles are few. The perception that "cities with hills are nor suitable for cycling" misleads people. Places reserved for bicycles on public transport such as ferries, buses and subways are not enough as well. The traffic terror in the city does not only affect pedestrians negatively, but also cyclists. Recklessly opened automobile doors are deadly traps for cyclists.